Some of my ‘secrets’ for a memorable trip this time? Noting down some kids proof favorites up front from my Pathport guides. A hotel with a nice restaurant downstairs, perfect to catch up on those date nights (cheers for baby phone apps) and planning the next day. As for the rest, it is truly all about finding the right balance (and sometimes juggling yes ;) between parks and playgrounds, running freely, sightseeing, coffees, lunches, rest and some much-needed Uber rides. Oh, and let’s not forget, a carrier for daughter Pomme, obligatory. And that Spring sun shining at her best these days sure helped too! These Pathport travel guides I mentioned are for, as they say, travelers with an aesthetic sensibility, looking for the most beautiful addresses wherever they go. The library they have contains nearly 70 guides in 50 destinations, all curated by some of the most inspiring creatives (and often locals) around the world. This is the part I love the most, finding some of these new discoveries. For our Paris trip, I bought two guides. 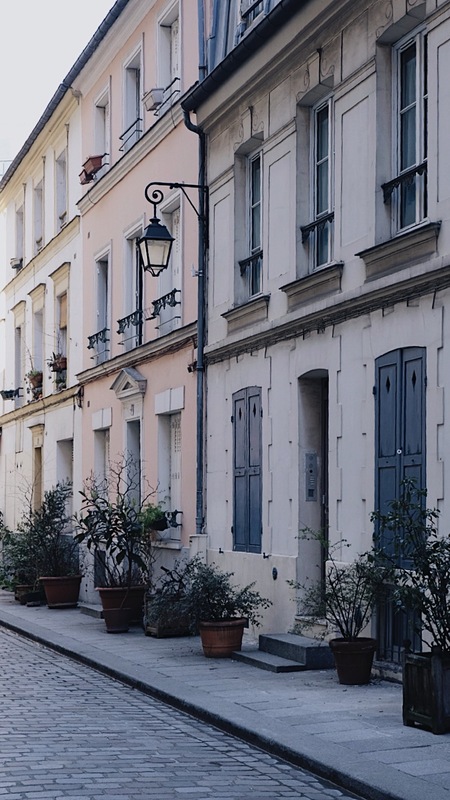 The ‘Unpretentious Paris’ one, with hidden courtyards and alleys, forgotten museums and much more. 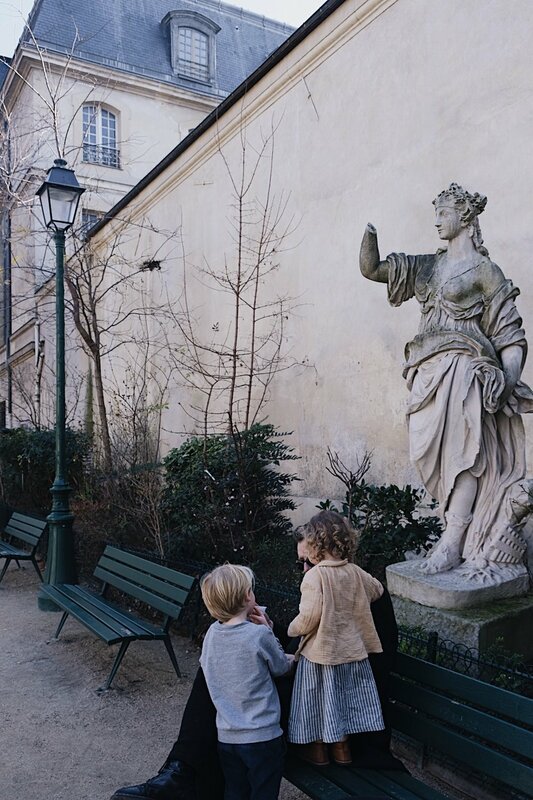 Written by local Benedicte, she also gathered up some amazing photographers on the @seemyparis Instagram account, big love for this one too. And ‘Paris the second time’ written by Melissa Lee because yes, with the pressure of seeing the major sights gone you can see a different side of the city. You can both find them here. That said, of course we visited some of the major sights again. Can’t imagine skipping the Eiffel tower, and for sure not allowed for as long Jippe is coming with us. Happened to be the best diner of the trip as well, take away pizza on a bench, tower view, while the sun was going down, birds chirping and little sis a sleep in the carrier. Some other favorites for this trip together? The morning we spent in the Galerie de Paléontologie et d’Anatomie. An impressive display of nearly a thousand skeletons, of so many species that are present in nature now and the living beings which have already disappeared. This Gallery building itself is just so beautiful too! Think squeaking wooden floors, a glass ceiling, and large windows. Lots of stone and steel was used. We all loved this place so much. Coffee break at l ‘atelier de Torrefaction, in this quiet passage near Bastille. Lunch at Fragments, if a place serves all day breakfast it can never go wrong, right? Walking along the Seine, and thru the Marais. Breakfast at The Broken Arm café and then going back for a take away coffee because the kids are playing in the playground at the park across the café. And Jardin du Palais – Royal to find some rest, play or run. And of course, the 18th century inspired Hotel des Grand Boulevards we loved our family room, we really prefer to sleep together in one room while in a hotel, and here it was possible with two kids. The a la carte menu from Italian chef Giovanni Passerini serves great dishes in the restaurant, with enough vegetarian options and that wine list was just amazing, the best part? Just one stair up after, where two sleeping babies were waiting. A bientot Paris!